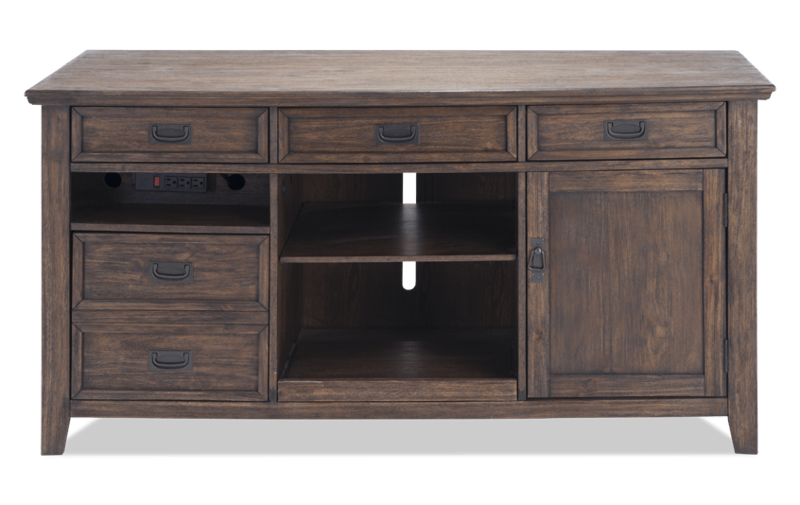 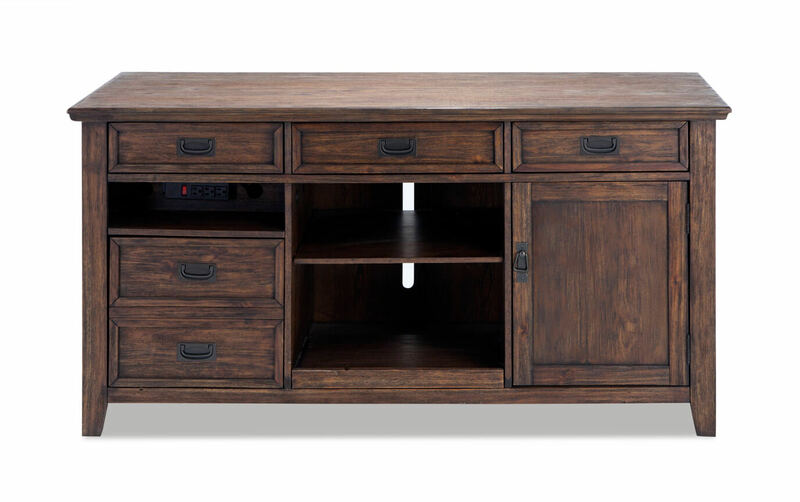 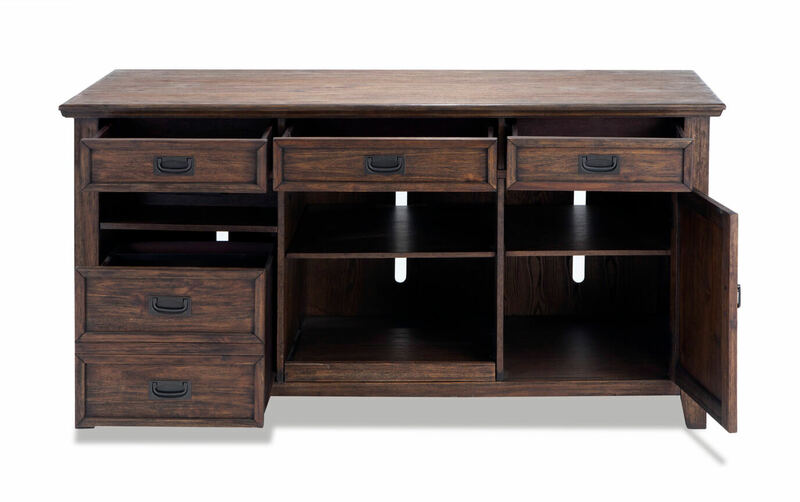 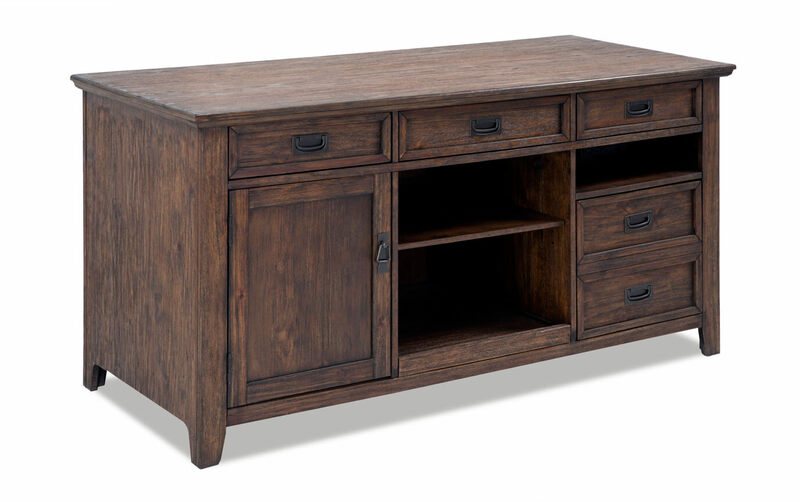 There's no shortage of storage with my Trayton Credenza. 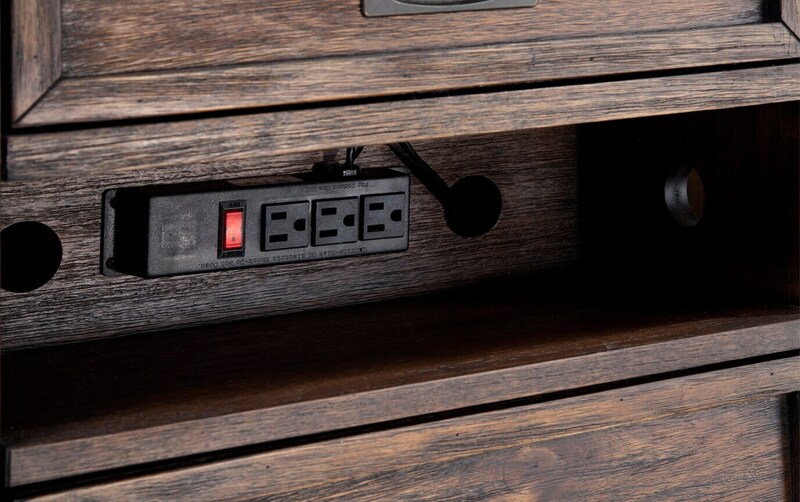 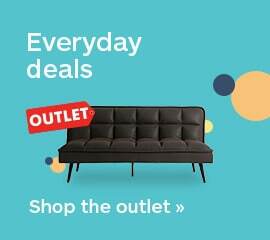 The built in power strip keeps your devices charged while the drawers and shelves provide all the space you'll need to stay organized. 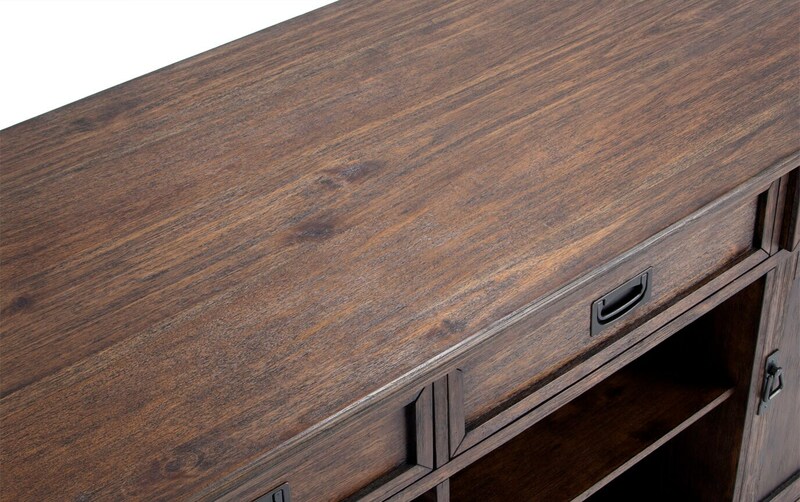 The brown wire brush finish and metal hardware will help give any room in your home a rustic feel.